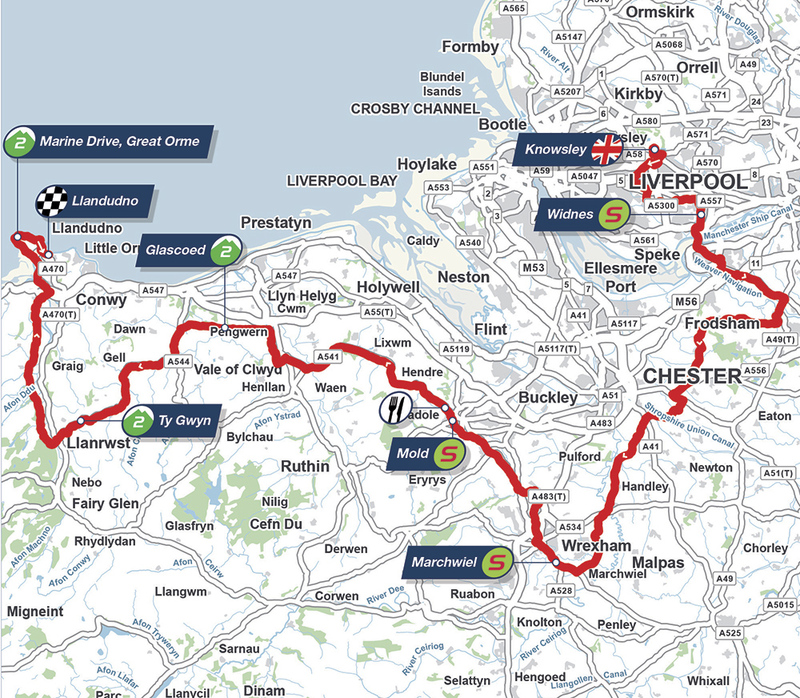 The race heads south to Wrexham, before turning west to cross the border into the hilly region of northern Wales. Though it’s early in the race, this stage could be crucial in determining how the general classification unfolds. Not only are there tricky hills on route, they’re all situated in prominent positions — all three climbs are crammed into the final 65km. The first of these is in Glascoed, after which the riders enjoy only a brief downhill before ascending to 200m to Ty Gwyn. This pair of climbs is more likely to thin out the bunch than prompt attacks, as opportunists wait until the final climb to make a move. Situated just a few kilometres from the finish, the Great Orme climb is likely to shape the way the whole stage is raced. Though modest in size — it rises to only 100m — its presence so close to the finish is likely to put off sprinters’ teams from chasing any breaks, meaning that the impetus will be on other teams to control the race. 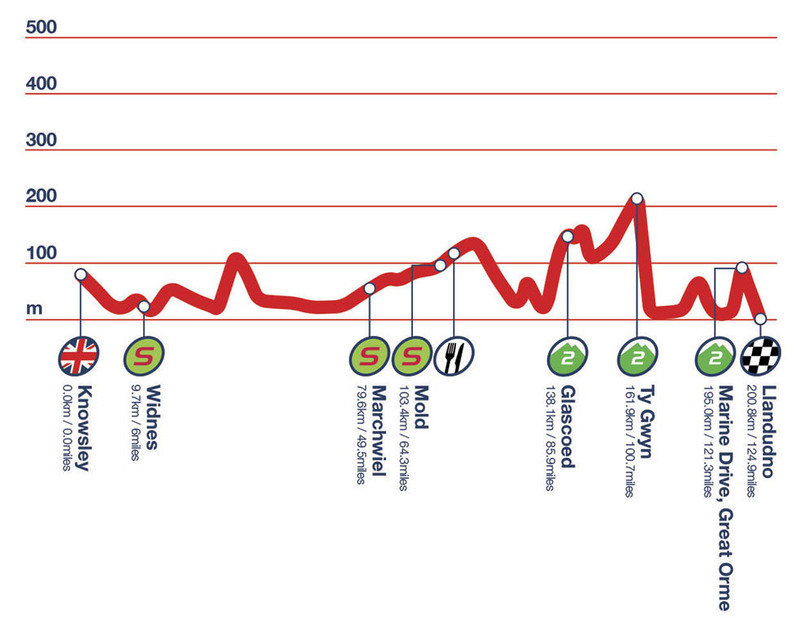 As this climb looks like the definitive point in the race, the run-in will be very fast and very competitive. If a team can then set a fast enough pace here, there’s a strong chance that any attacks will be neutralised and that the best sprinter remaining will win. If not, then punchy riders with strong uphill accelerations look like the best bet for a win.